Greetings friends and fellow crafters. 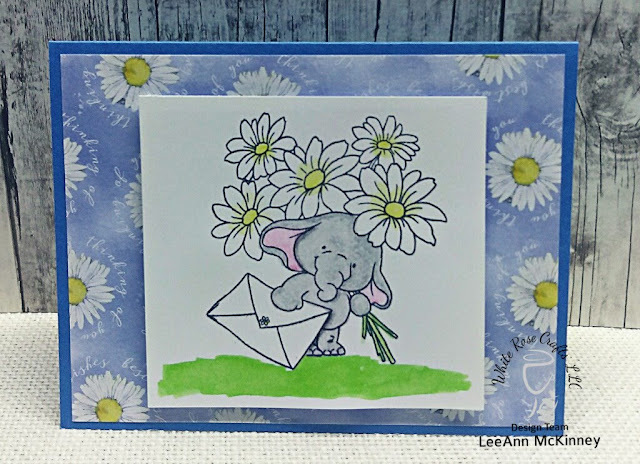 LeeAnn here with my White Rose Crafts post of the week featuring Wild Rose Studios. I had a bit of fun with these and stepped outside my comfort zone a bit as well. My first project used pattern paper from the Dancing Daisies 6x6 paper pack. The image is Bella with Flowers, which is stamped with Memento Tuxedo Black ink and colored with Watercolor pencils. For my second project the background paper is Wild Rose 6x6 Paper pack Frosted Lace. 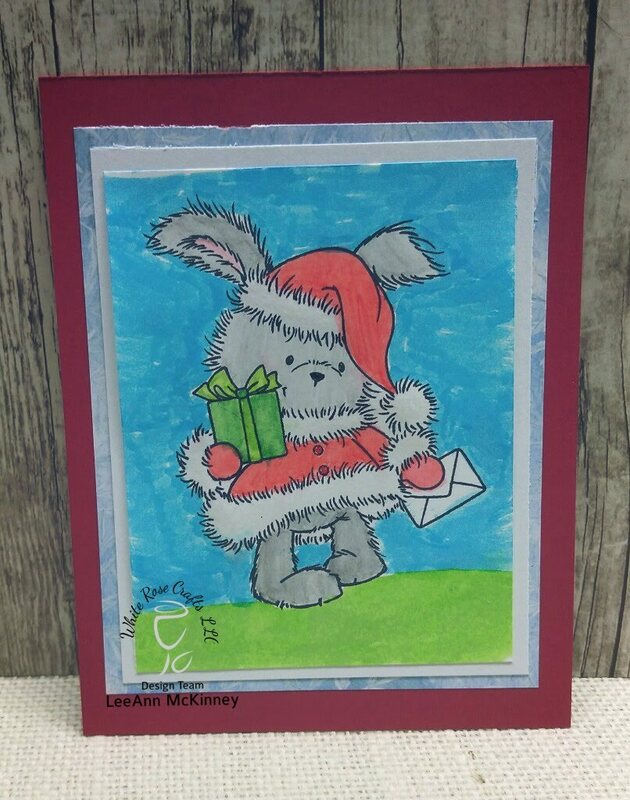 The image is Christmas Bunny, which is stamped in Memento Tuxedo Black ink and colored with Watercolor pencils, the background sky is colored with Arteza waterbrush markers and the ground is Nuvo AquaBrush in Fresh Green. Although it doesn't show in my photo the White part around the bunny's coat is covered in Clear Wink of Stella.